How do I reduce taxes on mutual funds? Which types of funds are best for taxable accounts? Why did I receive a 1099? Understanding mutual fund taxation will help you improve your overall returns by being a smarter investor. As they saying goes, "Nothing is sure in life but death and taxes." However, taxes can be minimized or even avoided with regard to mutual fund investing. Therefore, with knowledge of the basics on mutual fund taxation, you will be enabled to increase your overall investment portfolio returns. Asset Location: One of the biggest mistakes investors make is placing mutual funds that generate high relative taxes within their taxable accounts. For example, most bond funds and dividend-paying stock funds generate income that is taxable to the investor. Therefore these funds are best purchased in a tax-deferred account, such as an IRA, 401(k) or annuity instead. This way you'll avoid needless income tax. Tax-Efficient Funds: If you have a taxable account, such a regular individual or joint brokerage account, and you want to minimize taxes, you need to invest in mutual funds that generate little to no taxes. These funds are considered to be tax-efficient. For example if you need exposure to bonds, you might consider using municipal bond funds, which generate income generally tax-free at the federal level. How Mutual Fund Dividends Are Taxed: Some companies pass along their profits to stock shareholders in the form of dividends. A mutual fund investing in stocks may therefore receive dividends from the companies in which they invest and then pass along dividends to the mutual fund shareholder. A mutual fund investor often chooses to have dividends reinvested into the fund, but the investor may still owe taxes. The amount of taxes owed depends upon holding period and income tax bracket, among other things. Types of 1099 Forms and What to Do With Them: The most common types of 1099's received by investors include 1099-R, 1099-DIV, 1099-INT and 1099-Q. Investors are often surprised when receiving a 1099 in the mail. This is a sign that the investor needs to understand why they received the 1099 and if the taxes incurred by mutual fund investing can be minimized or avoided. If you want to know the basics of mutual fund taxation, understanding 1099 forms is a great place to start. You will also want to be sure you do what the IRS requires you to do! Mutual Fund Capital Gains Distributions: Stock mutual funds may invest in dozens or hundreds of stocks. Often the mutual fund manager will buy and sell shares of several of the stocks within the mutual fund during any given year. When the manager sells stocks that have gained in value since the time he or she purchased those stocks, these trades generate capital gains, which are then passed along to the investor (you). Plan Ahead for Your Capital Gains Distributions: To help shareholders prepare for capital gain distributions, mutual fund companies generally post capital gain distribution estimates beginning in October. These capital gain distribution estimates can help mutual fund investors (who own funds held in taxable accounts) plan ahead for tax day. Tax Loss Harvesting: Many investors make the mistake of paying capital gains taxes when they could have reduced or eliminated them by offsetting the gains with capital losses. For example, imagine you want to rebalance your porftolio and you decide to sell shares of two funds. 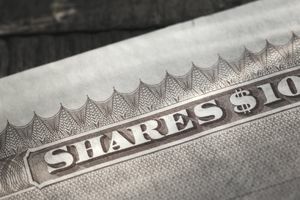 Generally, if you have $1,000 of capital gains as a result of selling the first fund and $1,000 of capital losses as a result of selling shares of the other fund, the equal gains and losses will offset each other and no tax is owed. Tax Cost Ratio: Just as it sounds, the tax cost ratio is a measurement of how taxes impact the net returns of an investment. For example, if your mutual fund earns a 10% return before taxes but the tax costs incurred by the fund reduce the overall return to 9% the tax cost ratio is 1%. Investors can find pre-tax returns, tax-adjusted returns and tax cost ratio for mutual funds at Morningstar. Index Funds vs Actively Managed Funds: Funds that try to "beat the market" are called actively managed funds and funds that simply try to match the returns of the market or given benchmark are called passively managed funds. Actively managed funds typically have higher turnover (buy and sell more stocks or bonds) and therefore have higher tax costs than index funds and Exchange Traded Funds (ETFs). For tax efficiency, you may want to consider using one of the best S&P 500 Index Funds. How to Choose the Best Mutual Funds: It is no coincidence that the best performing mutual funds, especially over long periods of time, such as 10 years or more, are often funds with the lowest tax costs. Therefore an investor looking for looking for the best performing funds will likely find the most tax-efficient funds, even if not trying, because there is a high correlation between low tax costs, low turnover ratio and low expense ratios to high relative returns, especially for longer investment periods.